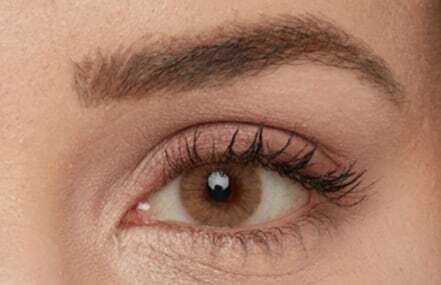 Brow Power Micro is your best-selling Brow Power Pencil—now with a micro-fine pencil tip that does the work for you to achieve feathery, natural-looking definition! The Universal Taupe shade adjusts to all hair colors—even gray—based on application pressure, while the budge-proof formula adheres to skin for long-lasting results. Micro-fine pencil tip mimics the look of real hair for feathery, natural-looking definition! POLYGLYCERYL-2 TRIISOSTEARATE, CI 77491, CI 77492, CI 77499/IRON OXIDES, POLYETHYLENE, HYDROGENATED VEGETABLE OIL, COPERNICIA CERIFERA CERA/CARNAUBA WAX/CIRE DE CARNAUBA, HYDROGENATED COCO-GLYCERIDES, MICA, ZINC STEARATE, CAPRYLIC/CAPRIC GLYCERIDES, CI 77891/TITANIUM DIOXIDE, TRIETHOXYCAPRYLYLSILANE, TOCOPHERYL ACETATE, POLYBUTENE, SORBITAN TRISTEARATE, ALUMINUM HYDROXIDE. Following the enclosed guide, use the micro-fine pencil to fill and shape your brows. Universal transforming shade adjusts to your eyebrow color. Apply softer strokes for lighter hair colors including blonde and silver. Press harder for darker hair including brown and black. To finish, lightly brush through brows with the spooley brush for a natural, polished look. What is the difference between this Brow Power Micro and the Brow Power Super Skinny?